What is Self-Actualization? | What is the Meaning & Purpose of Life? While it may be a myth that we use only 10% of our brains, it is an absolute that few come close to realizing all they can be. This is because most people remain unaware of the nature, variety and extent of “what lies within”. 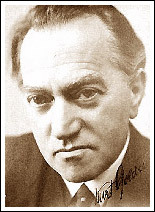 Kurt Goldstein, a German neurologist/psychiatrist first introduced the concept of self-actualization in 1934, in his book: The Organism: A Holistic Approach to Biology Derived From Pathological Data in Man. As its title might suggest, this was not a best-seller of its time — in fact, this seminal concept didn’t really take hold in medical and intellectual circles until decades later. Dr. Goldstein described the concept as a “driving force” which resided within human beings and motivated a person to develop their God-given abilities to the fullest extent, which in turn would guide them in the determination of their life’s “path”. 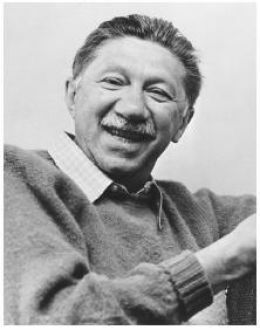 In 1943, Abraham Maslow, a Brooklyn-born Psychology Professor at Brandeis University published a banal titled article: A Theory of Human Motivation. In it, he redefined self-actualization as a “desire” to be “more and more of what one is”, rather than a “driving force” to maximize all one is capable of. This refinement suggested a person may want to be all they can be; however, there are other more fundamental human needs that take precedence, which if not met, can effectively eliminate the possibility of self-actualization altogether in a person’s life — and there is no shortage of people who go through life oblivious of what they are truly capable of achieving. Environmental factors which impede self-actualization include poverty, inadequate education, drug abuse, crime, corruption, political instability, famine, disease, natural and man-made disasters, unplanned pregnancies, domestic abuse, broken families, physical and mental illness and all forms of oppression. In such situations, the notion of self-actualization being a “driving force” is clearly overstated. This is because when faced with such challenges, the notion of self-actualization is usually the furtherest thing from one’s mind — for one’s focus becomes merely trying to survive. This is not to say all who face significant challenges are held back from reaching their potential. For instance, Abraham Lincoln lacked a formal education, and Oprah Winfrey was born into life of poverty and abuse — but they are the overwhelming exceptions, because they possessed an unusually strong desire to succeed, along with prodigious inherent skills and abilities. Nevertheless, even under the best of conditions, Dr. Maslow believed self-actualization rarely occurred — in fact, he surmised less than 1% of the adult population ever reached their full potential. But there are plenty of people who get “close enough”. Without getting into a debate on “how close is close enough” in the development of one’s full potential, it really doesn’t matter — for those who . . .
the zeal to develop them . . .
. . . are able to cultivate significant improvements in their lives that they themselves find surprising, and which manifest enrichment and lasting happiness. And this results from their quest for self-actualization, NOT from actually attaining it. And those daring enough to give it a shot, invariably end up bringing those they love along with them for a captivating ride of a lifetime, which then tends to perpetuate it. Accordingly, it would be more accurate to describe self-actualization as a theoretical concept that when put into practice, can lead to a journey of wondrous delight, instead of a final destination of anticipated nirvana. Accepting — Since they have come to accept their own shortcomings, they are similarly accepting of the shortcomings of others, and as a result they generally lack prejudice. Altruistic — They can be unselfish to a fault, often focusing on resolving the problems of others in BEFORE attending to their own pressing needs. Humored Easily— They have a well-developed sense of humor, as well as an uncanny ability to maintain perspective, often diffusing stressful situations with timely levity. Independent — As they are highly focused in their pursuits, they can be fiercely independent, and often operate autonomously. Introspective — They follow a regimen of critical introspection, especially after set-backs, enabling them to grow from such experiences, rather than be scarred by them. Resolute — They tend to resist outside pressures, thereby enabling progress in their pursuits to continue unabated. Selective — Fewer friendships are formed; however, theirs are of substance, deeply resilient, steadfastly loyal, and as a result . . . long lasting. Spontaneous — They are enormously creative and therefore able to swiftly adapt to change with almost effortless spontaneity. Transcendent — Rather than “put up” with something they know to be wrong, they undertake meaningful action to ameliorate it in large scale, so as to help many others. Which of These Qualities Do You Possess? Don’t be discouraged if few or none of them seem to describe you — for those who embark on the road to self-actualization and stick with it, not only end up changing their lives for the better, but undergo a metamorphosis themselves, eventually finding they have merely brought these once hidden traits to the forefront. 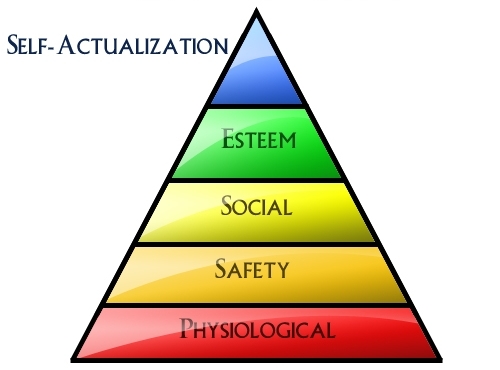 In addition to refining Dr. Goldstein’s concept of self-actualization (discussed above), Dr. Maslow introduced a framework of fundamental human needs (e.g., physiological, safety, social and esteem), that he described as prerequisites. He contended if there was an ongoing deficiency in meeting any of these needs, the quest for self-actualization would surely be futile. Over the decade following his first article on the subject, Dr. Maslow conducted extensive empirical research studying “the healthiest 1% of the college population”, as well as the lives of “exemplary people” such as Albert Einstein and Frederick Douglass. He memorialized his findings in 1954, with the publishing of his book, Motivation and Personality. Dr. Maslow called this framework a Hierarchy of Needs, portraying it as a pyramid with the largest and most fundamental human needs at the bottom and the need for self-actualization at the top — this is covered in the next section. 58 Responses to What is Self-Actualization? Thanks for posting this! Amazing thoughts! Ton blog est analogue super, interessant a lire. j’en ai fait un quand il est tout recent: http://www.buzzmoilactu.fr un blog sur les buzz et l’actu comme son nom l’indique. I must show my thanks to the writer for bailing me out of this trouble. Just after checking throughout the online world and finding advice which were not powerful, I believed my entire life was gone. Being alive devoid of the solutions to the difficulties you’ve sorted out as a result of your entire posting is a serious case, and the kind that could have negatively affected my entire career if I hadn’t encountered the website. Your actual skills and kindness in maneuvering every aspect was invaluable. I am not sure what I would have done if I had not encountered such a subject like this. It’s possible to at this point look forward to my future. Thank you so much for the impressive and results-oriented help. I won’t think twice to refer your blog post to anyone who requires guidelines about this problem. I was recommended this website by my cousin. I’m now not sure whether or not this submit is written by means of him as no one else realize such designated about my problem. You are wonderful! Thank you! I take great pleasure in reading articles with quality content. This write-up is one such writing that I can appreciate. Keep up the good work. Thank you for your kind words, Madalene. My brother recommended I may like this blog. He was once totally right. This submit actually made my day. You cann’t imagine just how so much time I had spent for this information! Thank you! Very well written story. It will be helpful to anyone who utilizes it, as well as me. Keep doing what you are doing – i will definitely read more posts. I would like to thank you for the efforts you’ve put in writing this web site. I am hoping the same high-grade site post from you in the upcoming also. Actually your creative writing abilities has encouraged me to get my own site now. Actually the blogging is spreading its wings fast. Your write up is a good example of it. It’s always superb when you go through a post that isn’t exclusively instructive but in addition entertaining. I’ve got to bookmark What is Self-Actualization? | What is the Meaning & Purpose of Life? in my personal pc. I’ve been trying to find info on this subject matter for weeks and this is the foremost May possibly located. I really enjoyed reading your current blog post. whoah this weblog is magnificent i love studying your posts. Stay up the great work! You understand, a lot of people are looking around for this information, you could aid them greatly. Excellent goods from you, man. What is Self-Actualization? | What is the Meaning & Purpose of Life? I’ve understand your stuff previous to and you are just extremely excellent. I really like what you’ve acquired here, certainly like what you’re stating and the way in which you say it. You make it enjoyable and you still take care of to keep it sensible. I cant wait to read far more from you. This is actually a great What is Self-Actualization? | What is the Meaning & Purpose of Life? informations. Have you got a ezine that you supply? Or any kind of teaching or perhaps lessons? Interesting Post , Many thanks. 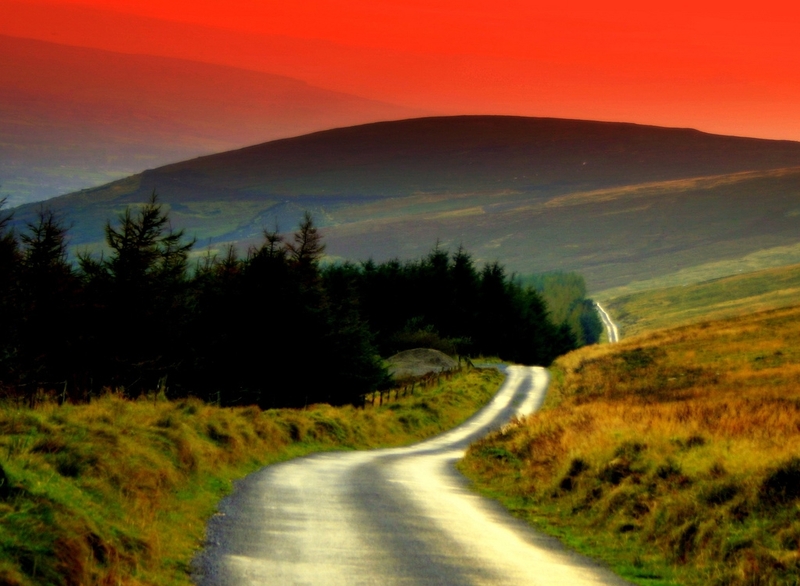 living in The Highlands of Scotland it’s great to find a helpful sitelike yours, especially with useful posts like the one above. Many thanks and keep up the great work. Good post. Probably my favorite blog post of 2012 so far. I shared this on twitter too! Simply life changing for me!! I mean wow! Looking forward to reading more of your your work. Keep it up. Extraordinary posting! I’m now starting out in SMO and trying to catch on to how to fully capitalize on social networking for our small business. With quality information like this, I guess your site can become a masterpiece among your fellow competitors’ websites. I really believe that bookmarking your site won’t be a waste of time. Please, do keep on updating interesting posts! Great website. Plenty of useful info here. I am sending it to a few friends ans also sharing in delicious. And certainly, thank you in your effort! First-class blog! I actually love how it’s effortless on my eyes and the data are well written. I am wondering how I might be notified whenever an extra post has been made. I’ve subscribed to your feed which must do that the trick! Have a nice day! This has to be a very lucky day for me. Generally, I had to browse the web for a long while to obtain the precise details for my small research work. But today, I just typed a few words regarding the topic of my work, pressed Enter on the keyboard…and…LOL! Your blog post sprang out on the first page. And then, I am proud to convey that it only took me a couple of hours to finish my project work; at other times this generally had taken me a whole long day to complete the task. Really thanks, buddy! I appreciate your work highly. Though I am an atheist, today I would like to give thanks to God (or whosoever there is) for listening to my prayers. You see, I was digging for a little bit of information on this particular matter, and, here I have found not really a little bit but instead, a bigger bit of information. I can’t say how pleased I am to have came across your pretty website. I truly wanted to write a simple remark so as to say thanks to you for those remarkable guidelines you are giving on this site. My considerable internet research has at the end of the day been honored with good information to go over with my good friends. I would mention that many of us visitors actually are rather blessed to dwell in a wonderful community with many outstanding professionals with very beneficial tricks. I feel very privileged to have seen your entire web site and look forward to tons of more awesome minutes reading here. Thanks once more for all the details. Wow, awesome blog layout! How long have you been blogging for? you made blogging look easy. The overall look of your website is excellent, let alone the content!. Thanks For Your article about What is Self-Actualization? | What is the Meaning & Purpose of Life? . I enjoy you because of all of the labor on this web page. My mum enjoys doing investigation and it is easy to understand why. A lot of people hear all about the compelling ways you present advantageous information on this web site and boost contribution from the others on that concern then our girl has been becoming educated a lot. Enjoy the remaining portion of the year. You’re performing a brilliant job. Youre so cool! I dont suppose Ive learn something like this before. So good to search out any person with some authentic ideas on this subject. realy thank you for starting this up. this web site is one thing that is needed on the net, somebody with a bit originality. helpful job for bringing one thing new to the internet! This website is awesome! How can I make one similar to this ! Wow, superb blog layout! How long have you been blogging for? you make blogging look easy. The overall look of your site is wonderful, as well as the content!. Thanks For Your article about What is Self-Actualization? | What is the Meaning & Purpose of Life? . Wow, superb blog layout! How long have you been blogging for? you make blogging look easy. The overall look of your web site is fantastic, as well as the content!. Thanks For Your article about What is Self-Actualization? | What is the Meaning & Purpose of Life? . I know the experience of self-actualizing and once you have reached that level of knowing what your natural talents are and you are able to employ them to realize your highest potential, there’s no going back to just – existing. I think it goes back to, first, having the desire to live a life with a deeper meaning than just satisfying our own basic needs for survival. There was a time when I had to focus on survival needs and there were no energies for trying to find a deeper meaning for my existence. However, its kind of a lonely place up there at the top of Maslow’s hierarchy (I’m not always self-actualizing, but I do seek ways to keep experiencing it) because there are not that many people who share that same passion. In my own way, I try to help others learn their natural talents and then focus those talents on a path to realizing their potential. I want others to experience that same excitement and recognition of their own value to society. Pingback: You Gonna Fly | What is the Meaning & Purpose of Life? WOW just what I was looking for. Came here by accident.